The restaurant is located at the 28th flr. of the Tornado Tower in West Bay. It has a great food and great view of the Corniche to boot. 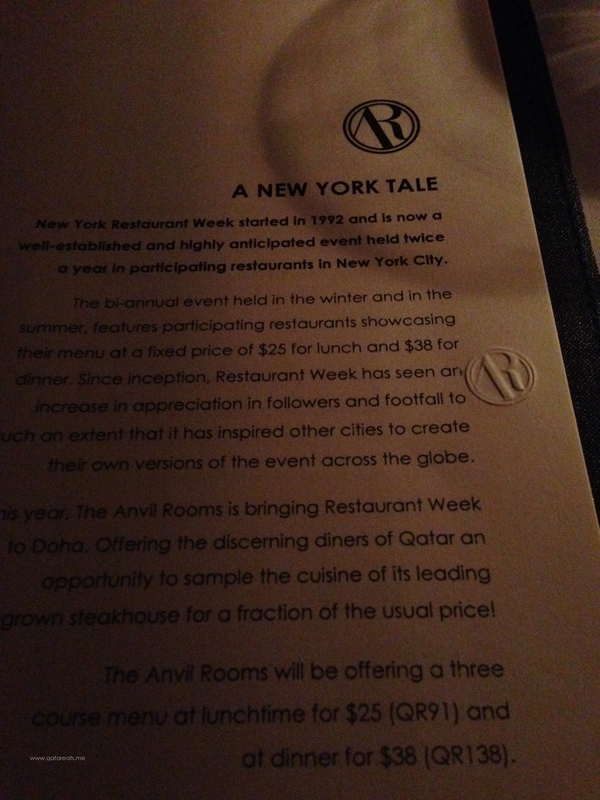 Fab Friend and I specifically went out for this restaurant to take advantage of the NY Restaurant Week celebration. It’s a three course meal (exc. drinks) for QR91 (lunch) and QR138 (dinner), which is really a good deal especially that normal pricing is a bit pricey. The restaurant interior is cozy, laid-back and romantic The staff was very welcoming and knowledgeable about their menu. Now, let’s talk about the food. It was a-freakin’-mazing! 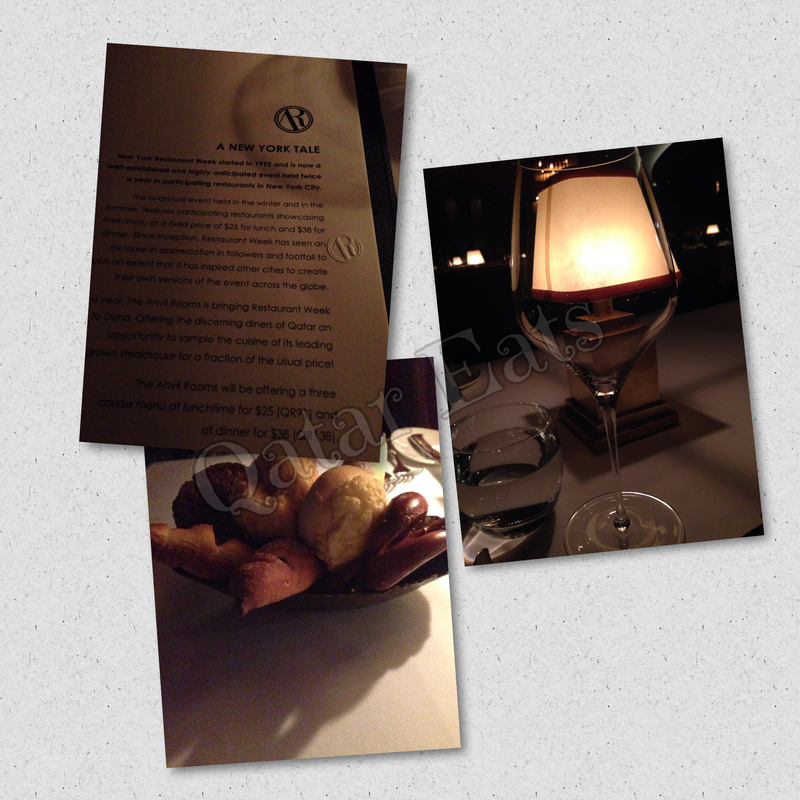 From the bread basket up to the last tiny piece of the dessert, the food was flawless. 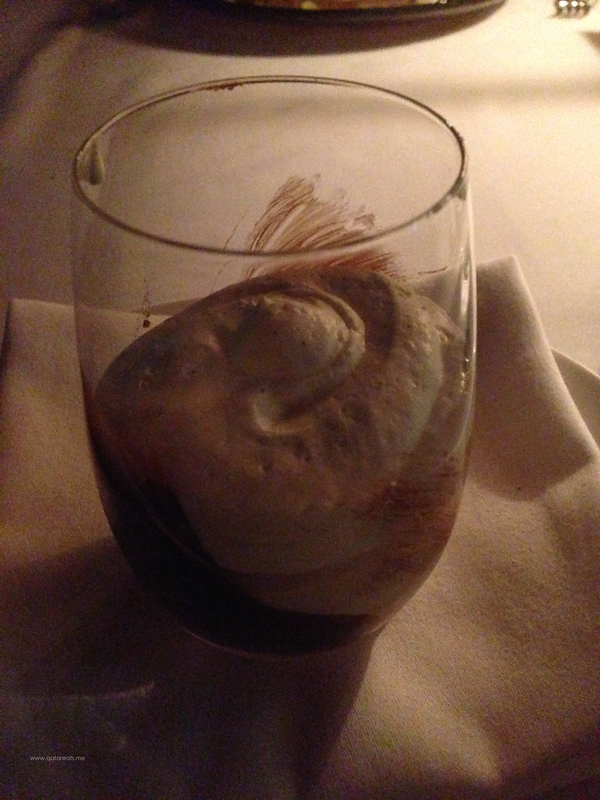 Truffled tagliatte, onion puree, roasted wild mushroom and morel foam – Nothing mattered that time except for this food. It commands your full attention, whispers seductively in your ear saying all the words that you’ve been waiting to hear: “I’m all yours”. 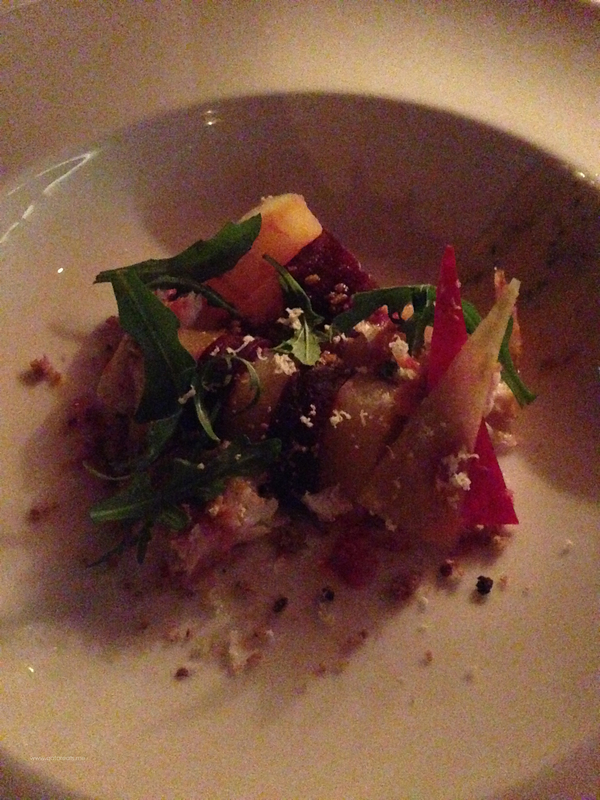 Mesquite smoked cod and salt baked beetroot, tarragon mayonnaise and horseradish – First off, I don’t eat beets. But this little number just made me a beetlover. And then the Mesquite smoked cod. Your tastebuds get the explosion of the smoke and salt long after you’ve swallowed it. 8 oz. 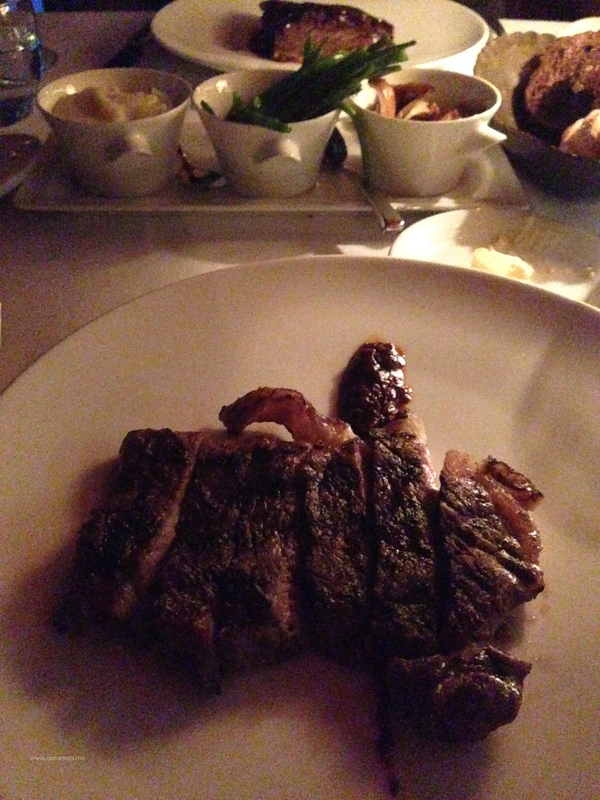 NY striploin, classic steak sauce – the best steak I’ve had in my 5 years here in Doha. Perfectly done (I prefer medium well) and bled properly. It was juicy, generous and gorgeous. 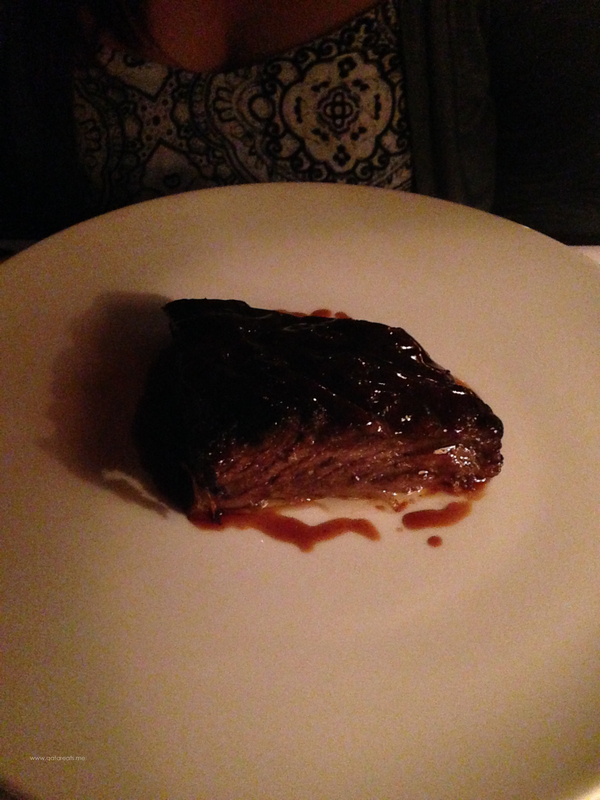 Spiced caramel braised shortrib – so soft, so shiny, so yummy. This shortrib does not put up a fight when you cut and bite into it. 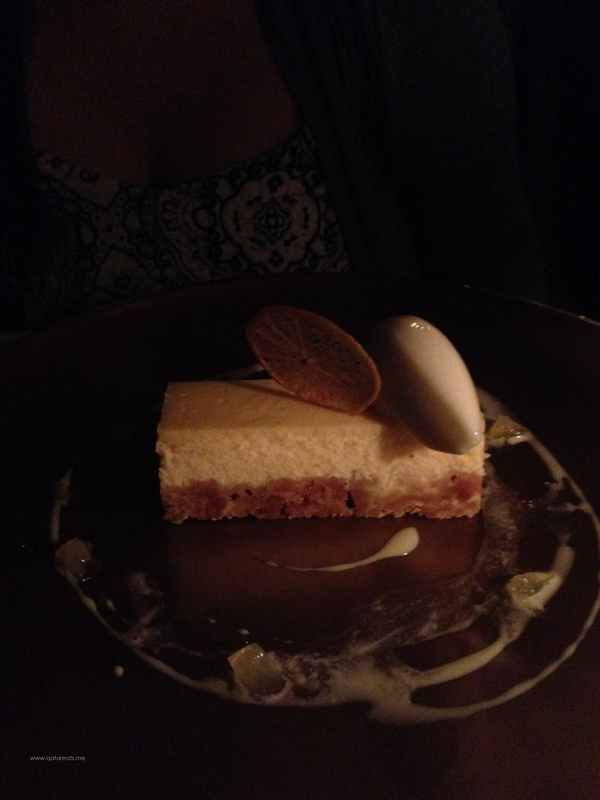 Lemon cheesecake with lemon sorbet – the cheesecake was divine and the sorbet was tangy and fresh that it served as a palate cleanser. The food was simply and utterly delicious. The way that they cooked their food will make sure you leave the restaurant so happy that you wouldn’t mind the traffic you’ll encounter going back home and you get every single worth of your penny. Quality food, people, quality food and you can’t beat that. Waiting time was fairly short but maybe because we were the first ones there (it pays to be early!). The staff were fantastic and cheery. They don’t have that snooty attitude that some high end restaurants adapt. Ask and you shall receive is their motto, I think. 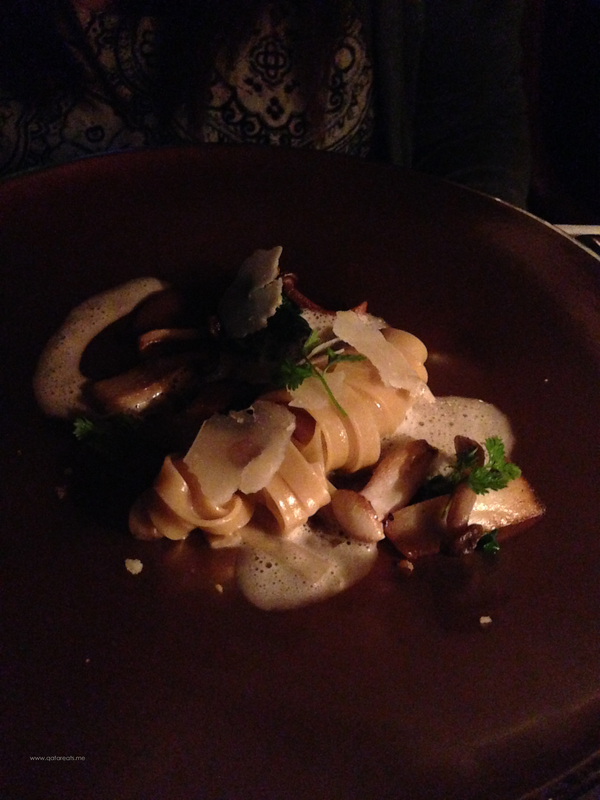 Since it was the NY Restaurant Week event, prices were considerably low. Fab Friend and I paid a total of QR 450 for the three course meal including a Blue Island Iced Tea, a glass of rosé, a cappuccino and single shot macchiato. I got to peek at their normal priced menu and for most of us, it’s not a place where you will eat on a weekly basis but if you do, I assure you that you will not regret it. Yes, yes and yes! I’ll bring Mr. Eats with me next time.